Erin Frazor is an Associate in Lozano Smith's Walnut Creek Office. 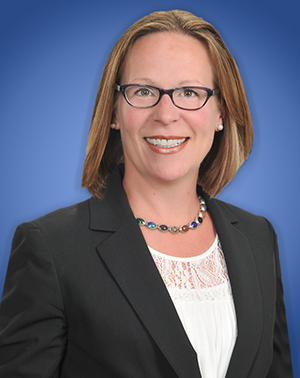 Ms. Frazor’s practice focuses on special education, student issues, and litigation. She is a former special education teacher and special education department chair within the Texas public school system. She assists clients with a wide variety of special education and student-related issues, including IEP meetings, mediations, and due process hearings. Prior to joining Lozano Smith, Ms. Frazor practiced at a large multinational law firm, representing hundreds of clients in federal and state courts and before arbitration tribunals. She has extensive litigation experience, handling all aspects of business litigation from inception through settlement, trial, or appeal. She has served as lead trial counsel in commercial arbitration, and has managed a trial team of more than 15 attorneys in a large employment matter. She has also conducted internal investigations and advised clients in connection with whistleblower claims and internal audit findings, including revisions to policies and procedures, due diligence, and monitoring. As a former special educator and department chair, Ms. Frazor tracked developments in education laws, trained and advised general and special educators regarding compliance issues, and developed policies, procedures, and forms to assist a public school in meeting compliance and reporting requirements. As a former board member of the Education Law Committee of the Lawyers’ Committee for Civil Rights (LCCR), she wrote a comprehensive chapter on special education law for LCCR’s legal clinic manual, summarizing federal and state special education laws, explaining legal systems and procedures, and examining issues likely to arise in the clinic. While in law school, Ms. Frazor published a law review comment examining the effect of IDEA’s assessment requirements on both schools and students with disabilities, recommending an alternative approach that more appropriately considered the individual needs of students, and avoided unnecessarily punitive measures for schools. Ms. Frazor also has prior pro bono experience representing students and families on various special education and student discipline issues, which gives her a unique perspective on the issues facing school districts. She also previously served as a judicial intern at the California Court of Appeal to the Honorable Justice Patricia Sepulveda. Ms. Frazor received her Juris Doctor degree from Golden Gate University School of Law with High Honors. While at Golden Gate University, Ms. Frazor received the Witkin Award for academic excellence in Civil Procedure, Criminal Procedure, Legal Writing & Research, Appellate Advocacy, and Sales. During law school, Ms. Frazor was Editor-in-Chief for the Golden Gate University Law Review. She earned her Bachelor of Science in Applied Learning and Development with a specialization in special education from the University of Texas at Austin.